Straight up, the number one priority on the path to wellness begins with the question: How do you want to feel? From the moment we start fresh in the morning until it’s time to turn in for the night, staying focused on this goal is how we’re able to maintain steady flight throughout each and every day. Paying attention to what we eat, bringing veggies to the forefront, and taking care of our bodies are all small changes that can bring about lovely, lasting rewards. Lately, I’ve been eating less meat and replacing with more vegetables, which seems to help A LOT. It’s been a simple and straightforward adjustment that makes my daily routine easier. I’m still a meat and veggies girl, but wanted to experiment with more vegetables in my diet—and I’m absolutely loving it. Veggies is where I place the emphasis. 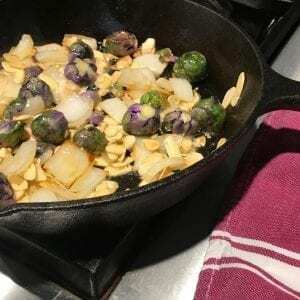 To keep it simple, I prepare most vegetables in a cast-iron skillet, a wok, roasted in the oven, or just eat ’em raw. The veggies are fresh and I find the veggie prep to be a fun part of the process. Chopping and peeling takes a lil’ bit of time, but being all-in is key. And heck, you may even enjoy it too! Keeping things fresh is my first choice, but I always keep frozen veggies on hand since a day can turn on a dime, and the next thing you know it’s dinnertime. Staying stocked with bags of frozen lima beans, cubed butternut squash, corn, or sliced peppers is incredibly helpful for busy days like this. 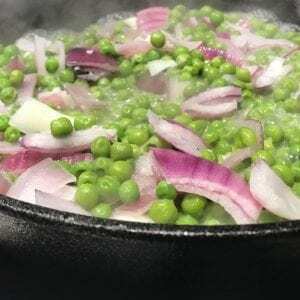 This way, a side of sweet peas or spinach for an omelette from the freezer are always ready for healthy, fast-food on the go. Boring to some perhaps, but I find plain veggies with no sauces or cheese to be therapeutic. All are nutrient dense, and a breeze to prepare. 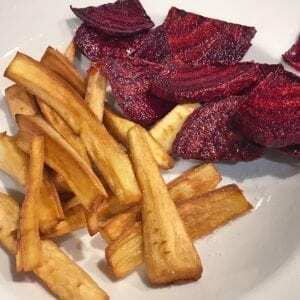 Parsnips and beets, chopped and fried, makes a great afternoon snack. 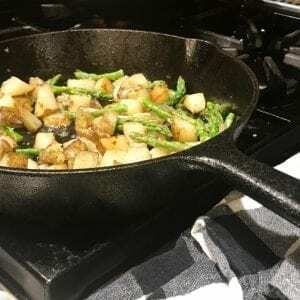 Sautéed asparagus with potatoes is delicious and filling. 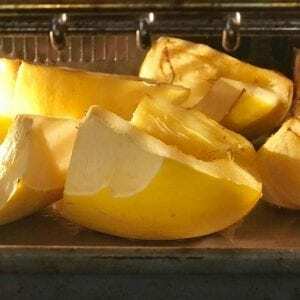 Spaghetti squash is a weekly dinner treat. 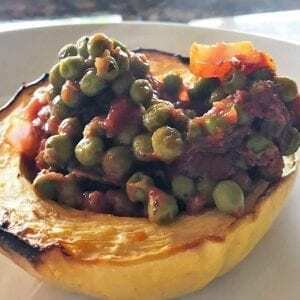 Adding black-eyed peas to top off a mashed sweet potato is a charming change from the usual marinara sauce. Soaking the dried black-eyed peas throughout the afternoon while working or running errands, then boiling in the evening saves both time and money. A bag of dried beans costs less and retains much more of their nutrients than the canned versions of the same thing. You can make so many creative, delicious meals with beans, and it’s super cost effective. It’s not rocket science, but—like anything worthwhile—it takes thought and planning. Food prep doesn’t have to be a chore. Carving out an hour or so to prepare veggies for quick, easy meals that can be reheated throughout the week simplifies the gluten-free life, which gives us more time for the good stuff! Boiling, steaming, roasting, sautéing… whatever works best to keep you well. And if you’re not a veggie lover by nature, this VeryWell Fit article gives great tips and tricks to get your vegetables tasting better so you can learn to enjoy the foods that are good for you. Everyone wants to feel well, and eating right can keep the energy level high when we get busy or distracted. Plus, we receive the extra health benefits of a scientifically-supported diet! I might momentarily lose my food focus when I get busy or distracted, but I keep a positive attitude and remind myself that every day is an opportunity to start fresh. I sweetly recall standing in my kitchen at a party one evening when a dear friend said to me, “I need to start fresh; a reboot, a reset, to take better care of myself.” She had just finished a huge project. Nothing radical—just some small tweaks. Let’s start with eating more vegetables. How ‘bout some good sleep while we’re at it? We’ll jump-start the week with a trip to the market and a Sunday of rest like our parents did. Remember when Sunday was true reboot before there were computers? When you’re working toward true wellness, remember that every day is a brand new day. Replace any negativity with positivity. Get restful sleep. Exercise. Drink lots of water. Fill your body with premium fuel. Inspire yourself. Healthy is happy! 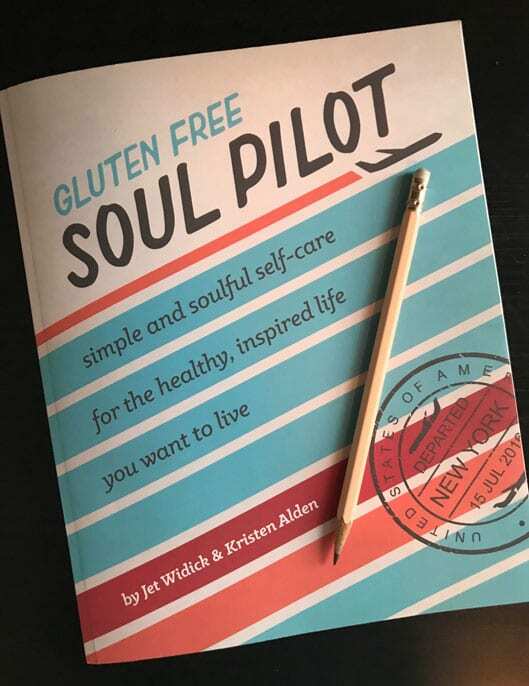 Straightforward and simple, Gluten Free Soul Pilot uses well-researched principles and proven practices to guide readers through a personal flight plan that targets individual needs to achieve better physical, spiritual and emotional health. It is filled with soulful strategies for wellness so you can take control of your mind’s autopilot and spend more of your time and energy on enjoying the authentic, inspired life you were meant to live. Gluten Free Soul Pilot is now available on Amazon, Barnes and Noble, Powell’s Books and IndieBound.